Learn how to transfer photos from iPhone to PC by reading this extensive guide. We have listed 10 different stepwise solutions to copy photos from iPhone to PC. What is the easiest way to transfer photos from iPhone to PC? If you are wondering the same thing, then this would probably be the last guide that you will read. A lot of iOS users face unwanted issues while moving their data between their iPhone and PC. Unlike Android, we can’t just connect the iPhone to a system and use it to move our files freely. Nevertheless, there are tons of ways to copy photos from iPhone to PC and vice-versa. In this guide, we will teach you how to move photos from iPhone to PC in numerous ways. 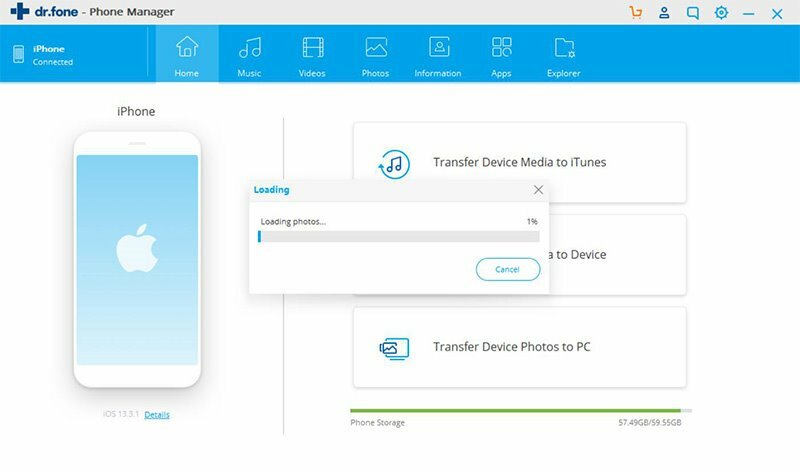 Part 1: How to transfer photos from iPhone to computer with iSkysoft Toolbox (All or selected transfer supported)? Part 2: How to import photos from iPhone to PC with AutoPlay? Part 3: How to copy photos from iPhone to computer with Photos App? Part 4: How to import photos from iPhone to computer with Windows Explorer? Part 5: How to sync photos from iPhone to PC with iTunes? Part 6: How To move pictures From iPhone To PC using iCloud Photos? Part 7: How to export images with Google Photos? Part 8: How to download pictures from iPhone to PC by Dropbox? Part 9: How to export photos by visiting WhatsApp Web? Ideally, there are different ways to transfer photos from iPhone to PC. You can connect your phone to the system using a lightning cable. This would let you transfer your data in a faster and more direct way. Part 1: How to transfer Photos from iPhone to Computer with iSkysoft Toolbox(easiest way)? This is certainly the easiest way to transfer photos from iPhone to laptop. The iSkysoft Toolbox provides a wide range of solutions for iOS devices to manage all kinds of data. With the assistance iSkysoft Toolbox – Transfer (iOS), users can export photos from iPhone to PC in a single click. 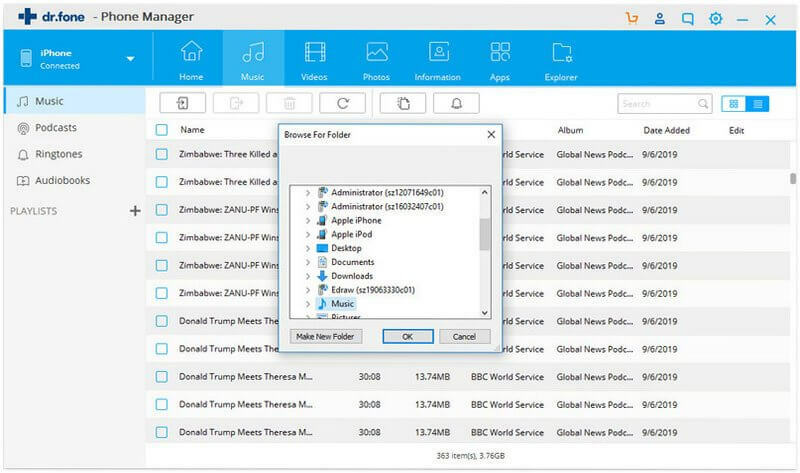 It also allows us to preview the stored photos first and selectively transfer them to the computer as well. The application provides a user-friendly solution to move photos from iPhone to PC or vice-versa. It is a complete toolkit that can be used to manage all kinds of data types. Not only photos, you can also move your videos, audios, messages, contacts, and so much more. 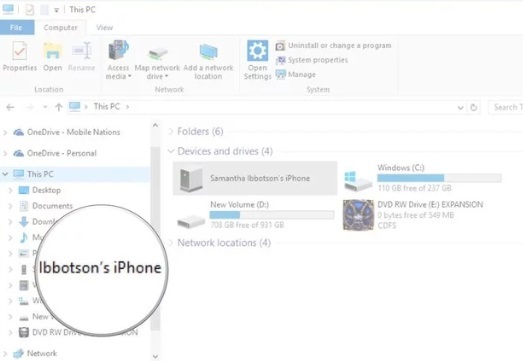 You can also move your data from PC to iPhone selectively. 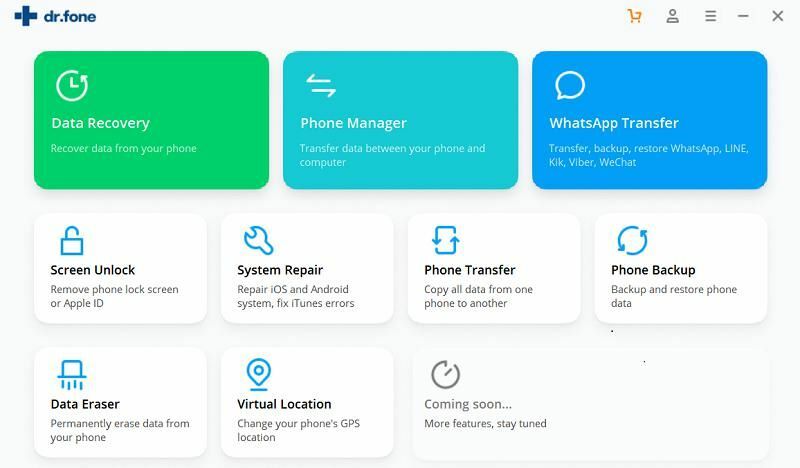 It can also be used to transfer data from iPhone to another connected phone as well. Users can also move data between iTunes and iPhone, without using the iTunes application. 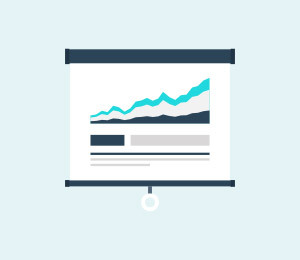 The toolkit comes with dedicated support and money-back guarantee. It is compatible with every leading iPhone model (like iPhone XS, XR, XS Max, X, 8, etc.) and does not require jailbreaking as well. If you wish to copy photos from iPhone to Windows with a single click, then try iSkysoft Toolbox – Transfer (iOS). 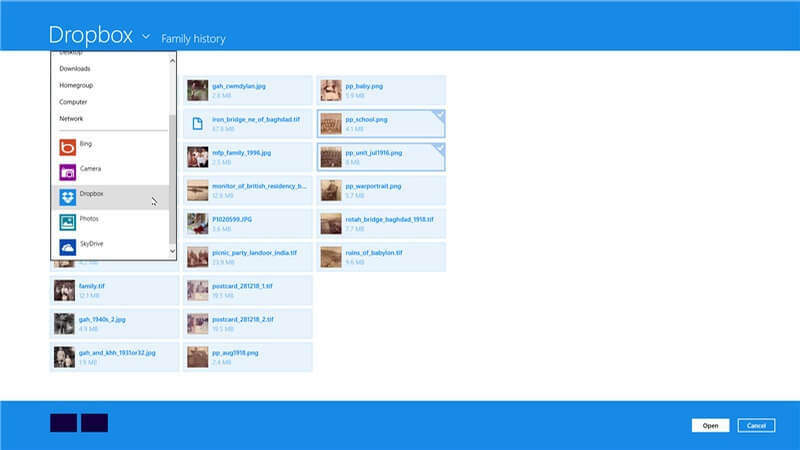 The application provides a one-click solution to transfer all your photos in one go. You can directly export photos from iPhone to PC by following these easy steps. Step 1 Firstly, launch iSkysoft Toolbox on your Windows PC and from its home select the “Transfer” option. Step 2 Now, connect your iPhone to the system using a working cable. Once it gets detected by the application, you will get its snapshot. From the listed shortcuts on the screen, click on “Transfer Device Photos to PC” to proceed. Step 3 A browser window will be launched so that you can go to the location where you wish to save your photos. Step 4 After selecting the location, start the transfer process. You would have to wait for a while for the transfer to be completed. Step 5 In the end, you will be notified when your photos would be transferred successfully. 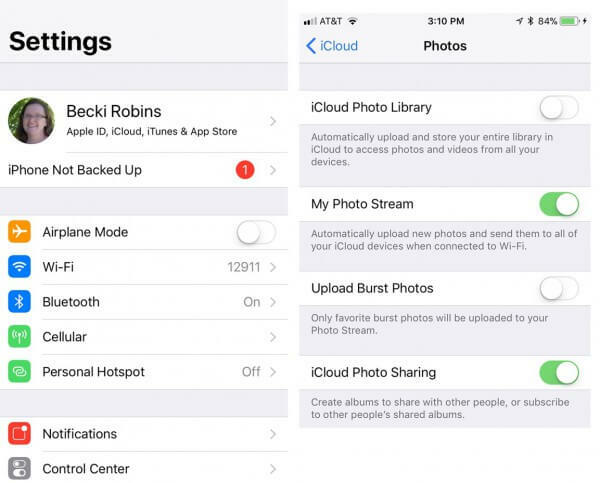 You can now freely access iPhone photos on your computer whenever you want. 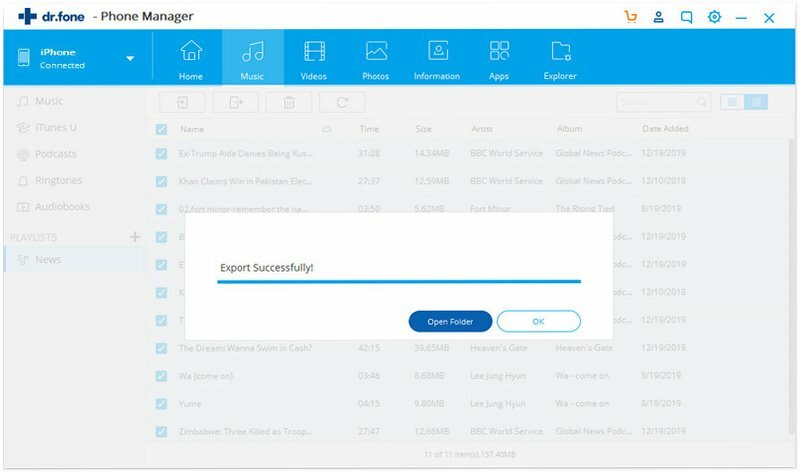 Step 1 Install and launch the iSkysoft Toolbox and from its home, visit the “Transfer” section. Also, connect your iPhone to the system and wait for it to be detected. Step 2 As you can see, the device’s data will be listed under different categories. To copy images from iPhone to PC, visit the “Photos” section. Step 3 Here, you can see all the photos and albums stored on your iPhone. Simply preview the photos here and select the ones that you wish to transfer. You can select multiple photos at once. Step 4 After selecting the photos you wish to transfer, click on the export icon on the toolbar. From here, choose to export photos to PC. Step 5 A browser window will be launched on the screen. You can just select the location where you wish to save the selected photos. Step 6 This will initiate the transfer process. Just wait for a while as iSkysoft would copy photos from iPhone to PC in no time. That’s it! By following these simple steps, you can easily move photos from iPhone to PC selectively or all at once. 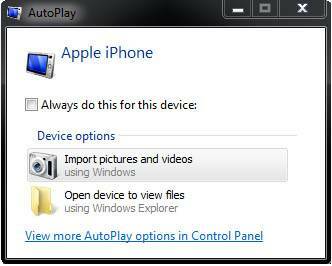 Part 2: How to import photos from iPhone to PC with AutoPlay(For Windows 7/8 Users)? Step 1 Firstly, visit your computer’s Control Panel > Hardware and Sound > AutoPlay and turn on the option for “Use AutoPlay for all media and device”. Step 2 Now, connect your iPhone to the system and wait for it to be detected automatically. You can unmount and connect it again if your phone won’t get detected. 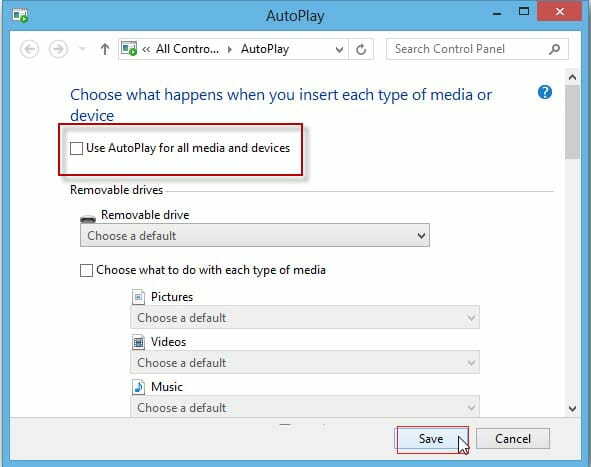 Step 3 Once the device is detected, Windows will display the following AutoPlay prompt. Click on the “Import Pictures and Videos” option to proceed. Step 4 You can choose to import all photos at once or review your content. Furthermore, you can go to the “Import Settings” to change the default location to save the transferred photos. Part 3: How to copy photos from iPhone to computer with Photos App (For Windows 10)? 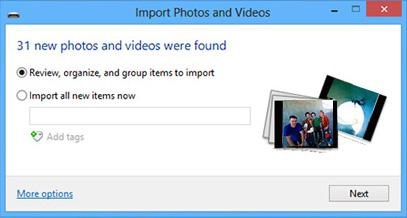 Windows 10 has a native Photos app that can help us manage our pictures and import/export them as well. Therefore, it acts as an ideal replacement for the previous version’s AutoPlay feature. 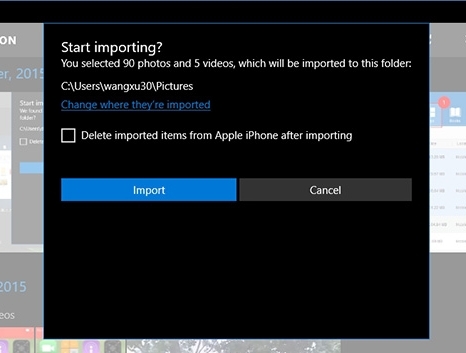 You can just attach your iPhone to the computer, go to the Photos app, and import your pictures. Here’s how you can export photos from iPhone to PC using the Photos app. Step 1 Firstly, connect your iPhone to your computer and launch the Photos app. 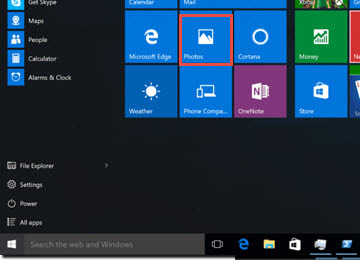 You can go to the Start menu and search for the “Photos” app from there. Step 2 In no time, the Photos app will detect your phone and display the saved photos. You can just select the photos you wish to move and click on the import icon (on the top right corner of the interface). Step 3 A pop-up like this would appear, informing how many photos will be imported. Confirm your choice by clicking on the “Import” button again. If needed, you can also change the location for your photos to be saved from here. This is certainly one of the easiest ways to transfer photos from iPhone to PC. 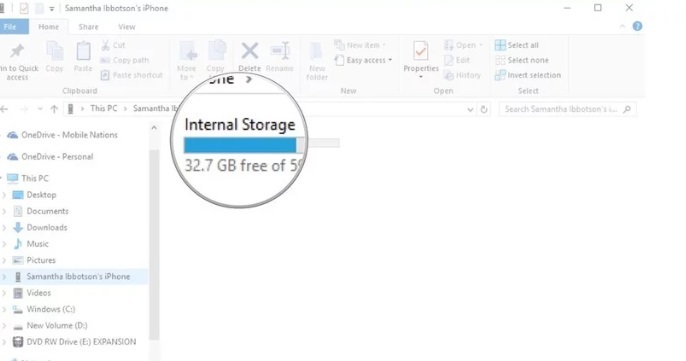 You can use the File Explorer of Windows and visit the internal storage of your iOS device. Though, before you proceed, make sure that you have already installed iTunes on your system. Once you have an updated iTunes version ready, follow these steps to copy photos from iPhone to Windows. Step 1 Connect your iPhone to the system and launch the Windows Explorer. From its left panel, click on “This PC” and select the connected iOS device drive. 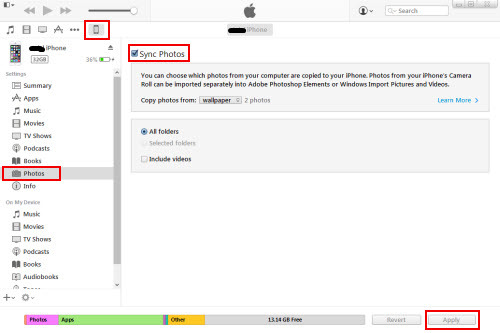 Step 2 Now, browse to the internal storage of your iPhone and visit the DCIM folder to view the stored camera photos. Step 3 Select the photos you wish to move and manually copy them to your PC. You can also click on the “Copy to” option on the toolbar to directly move them to the desired location. While the solution seems convenient, it can only transfer photos stored in the Camera Roll. You can’t move app photos, screenshots, etc. with this approach. If you are not new to the iOS ecosystem, then you must be familiar with iTunes as well. It is a native application developed by Apple to manage iPhone data. Therefore, you can also sync photos from iPhone to PC by taking the assistance of iTunes. Though, if you are using an older version of iTunes with a brand new iPhone, then you might encounter some issues. To avoid this, make sure you are using an updated iTunes version on your computer. Step 1 Launch an updated version of iTunes on your system and connect your iPhone to it. Step 2 From the list of the connected devices, select your iPhone. Now, visit the “Photos” tab on the left panel. Step 3 Enable the “Sync Photos” option from here. Also, you can choose to sync all photos or choose the albums of your choice. Step 4 Simply click on the “Apply” button in the end to automatically sync photos from iPhone to PC. One of the major drawbacks of this approach is that we can’t preview our data and perform a selective transfer of photos. Sometimes, users don’t wish to physically connect iPhone to PC using a cable. Thankfully, there are different ways to transfer your data wirelessly as well. 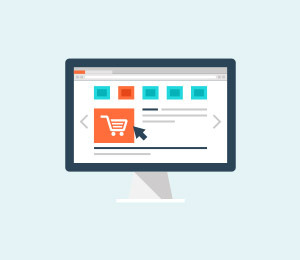 While these techniques will take more time, you can follow them due to the convenience they offer. This is the best way to transfer photos from iPhone to PC wirelessly. All the iOS devices are linked to an iCloud account by default. As of now, every user gets 5 GB free storage, which can later be upgraded by getting its premium version. You can sync photos from iPhone to PC by using the Windows version of the iCloud application. Step 1 Firstly, go to your iPhone’s iCloud settings. From here, turn on the iCloud Photo Library option so that your photos would automatically be synced to iCloud. Step 2 Now, launch the iCloud desktop application on your Windows. If you don’t have the app, then visit iCloud’s website to download it. Step 3 From here, turn on the feature to sync your Photos. Also, click on the “Options” button to further customize these settings. 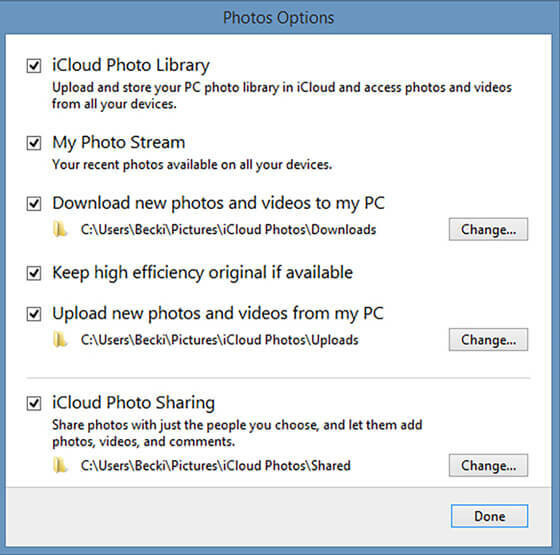 Step 4 Enable the “iCloud Photo Library” option from here. 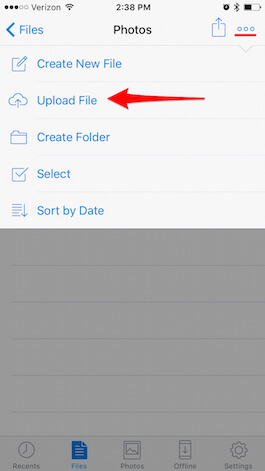 You can also select where you wish to save your synced photos or videos on your system. 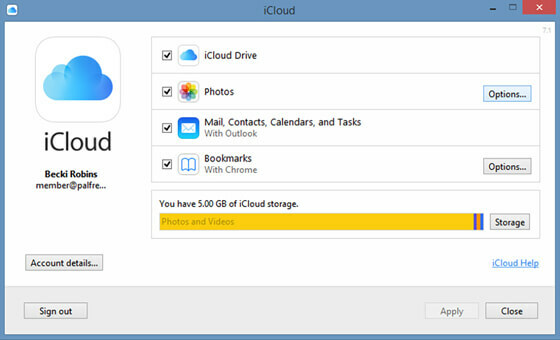 Beforehand, make sure that there is enough free space on your iCloud account. If there is no free space, then you won’t be able to sync your photos from iPhone to iCloud to begin with. Another way to transfer your photos wirelessly is by using Google Photos. 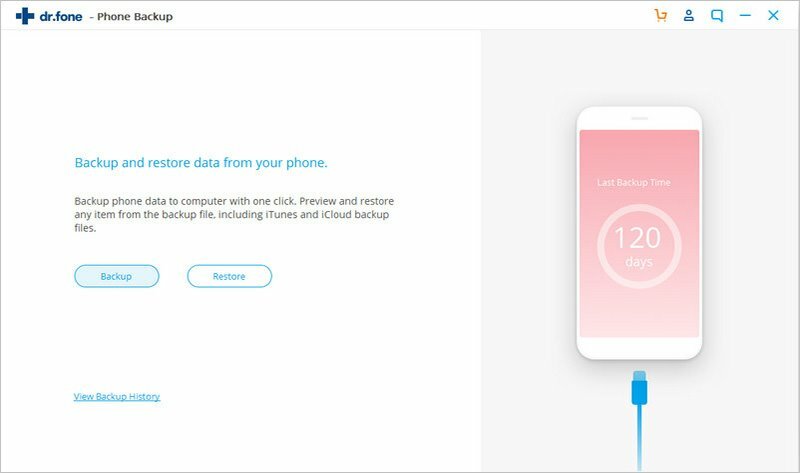 This will let you not only move photos from iPhone to PC, but you can also maintain a backup of your photos as well. 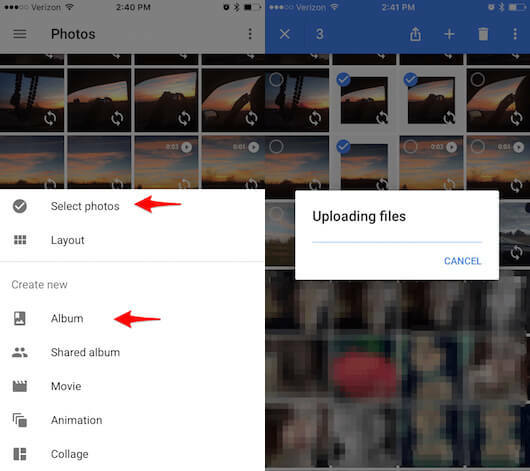 Currently, Google Photos allows us to store unlimited pictures for the auto-optimized version. If you upload photos in the original quality, then you will only have 15 GB of free space on the drive. Step 1 Start by installing the Google Photos app on your iPhone by visiting the App Store. 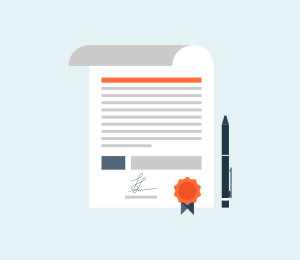 Step 2 Launch the app and grant it the needed permissions. 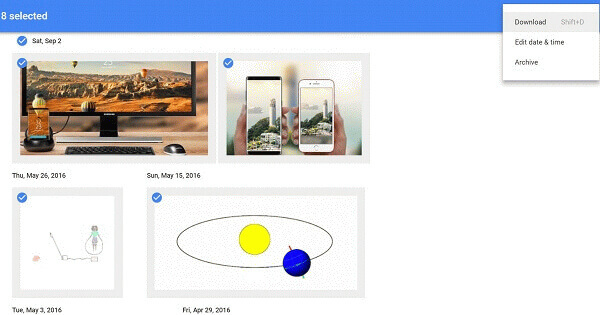 In no time, your photos will be synced to your Google account. Just make sure you have a stable internet connection. You can also go to its settings to make different albums or optimize the photo upload. Step 3 Once all the photos are uploaded, you can go to the website of Google Photos on your computer. Here, you can access all the synced photos. Step 4 Simply select the albums or photos of your choice and click on the hamburger icon. Now, choose to download the selected photos. This will save the photos to your local system storage. Dropbox is one of the most popular cloud-based services out there. While it only provides 2 GB of free space on the cloud, you can readily use the service to copy photos from iPhone to PC as well. Therefore, you might need to upgrade your account to a premium version to access its features seamlessly. If you have enough free space on your Dropbox, then follow these steps to transfer photos from iPhone to PC. Step 1 Install the Dropbox app on your phone, create your account, and launch it. Step 2 You can enable the automatic sync option or choose to manually upload photos from your phone as well. Just tap on the upload icon, select photos, and browse the pictures you wish to save. Step 3 After saving photos to your Dropbox account, you can access them remotely. For instance, you can visit the official website of Dropbox or use the Windows application as well. 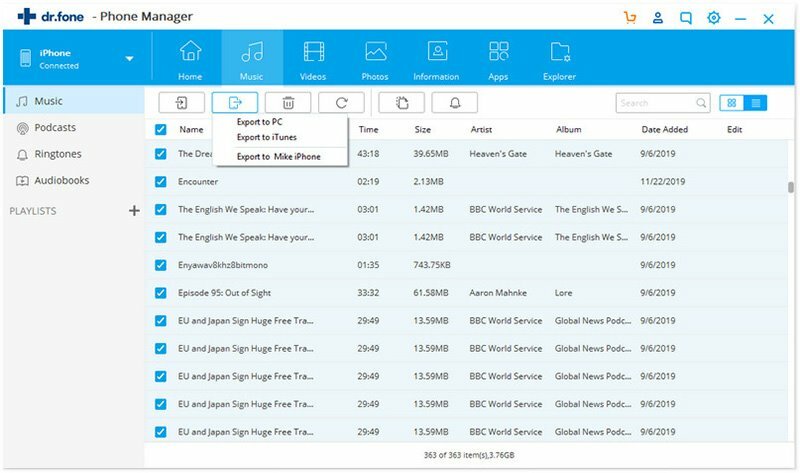 Step 4 Go to the application (or website) to browse the synced photos and save them to your computer’s local storage. This is one of the most time-consuming methods to move photos from iPhone to PC. Though, if you only wish to move a handful of photos and are not worried about their quality, then you can follow this approach. 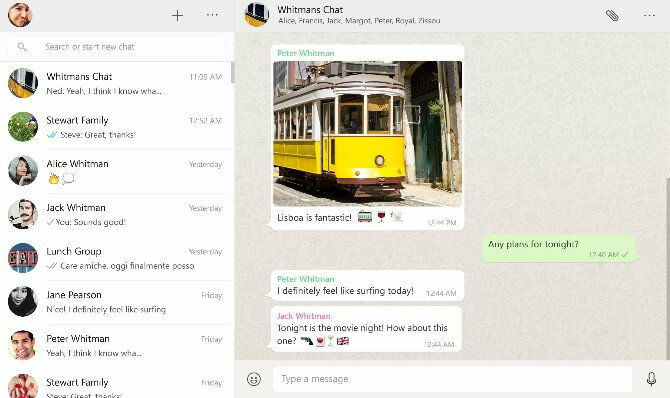 As you know, WhatsApp Web allows us to access our messages on our computer. You can just forward any photo from your phone to a friend and later access it on your computer via WhatsApp Web. Kindly note that the quality of the photo would be compromised and you would have to manually save one photo at a time. Step 1 Launch WhatsApp on your phone and send the respective photos to a contact. After that, visit the app’s settings and tap on the “WhatsApp Web” option. 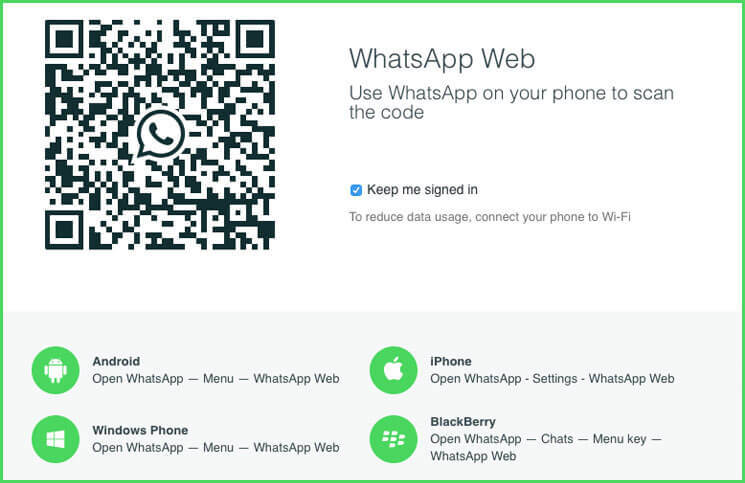 Step 2 At the same time, visit the WhatsApp web panel on your computer by visiting its website (web.whatsapp.com). Scan the displayed QR code on your phone to link it with your system. Step 3 In no time, WhatsApp will be opened on your system. You can browse it just like the app and select the photo you wish to save. Step 4 Once the photo would be opened, you can click on the download icon at the top-right corner. This will save the photo to your system’s storage. After getting to know about so many options to copy images from iPhone to PC, you might get confused. If you want to pick the best way to transfer photos from iPhone to PC, go through this quick comparison. That’s a wrap, folks! After following this detailed guide, you would be able to export photos from iPhone to PC in numerous ways. 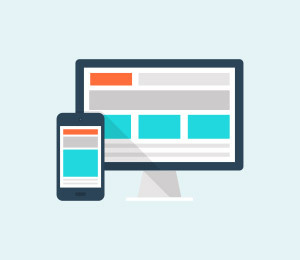 You can copy photos from iPhone to PC by connecting your phone via a lightning cable or by establishing a wireless connection to your computer. Since iSkysoft Toolbox has tons of other applications as well, it will come handy to you on numerous occasions. Give this resourceful application a try and move your data from one source to another like a pro! When you are in doubt about how to transfer contacts from iPhone to Android, just look no further than this article. We are going to introduce some easy solutions on it. Searching for a way to transfer contacts from iPhone to iPad? You will be lucky to find out the easy solutions here. Here a 3 easy ways to help you to sync iPhone text messages. 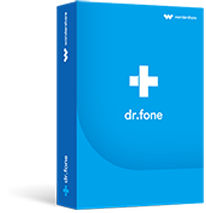 And you can get the best solution to sync iPhone text messages for backup. 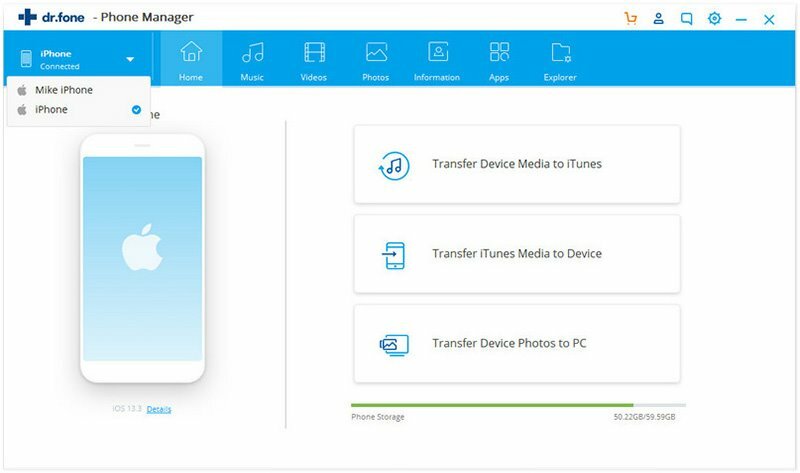 This article outlines the very best of iPhone to Android transfer app. Follow the article and you can free download the app of iPhone to Android transfer.